Eternal Doctrine (The Ur-Quan Masters Book 2) - Kindle edition by Tommi Salminen. Literature & Fiction Kindle eBooks @ Amazon.com. Six months have passed since the Precursor starship Vindicator arrived at the starbase in Earth's orbit. The Ur-Quan are busy fighting a civil war, but their forces are still grossly superior to those of the hastily assembled New Alliance of Free Stars. Both a carrot and a stick are bound to be needed when the Alliance deals with alien races. As Captain Zelnick of the Vindicator said: If you plan to save the galaxy, you have to be prepared to push a few old ladies down the stairs. 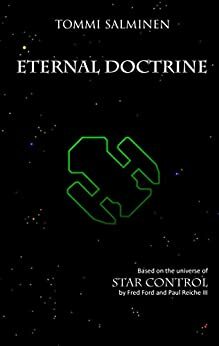 This book continues where Groombridge Log left off and concludes the novelization of Star Control 2.